Now that my problems with wordpress are sorted, I couldn’t get on here for two days for some unknown reason, I can finally post about what I think was probably one of the best albums of 1981. Personally, I think it was a conspiracy from the “The 80s were all about Culture Club and Wham” brigade in a bid to stop me from thwarting their version of music history but I digress once again. For me, “Wild Eyed Southern Boys” was one of those albums that made 1981 for me. I don’t even need to relate a story from my military days here because that album would have had the same impact on me if I hadn’t been serving at the time. 38 Special’s previous album, “Rockin’ Into the Night” had already given me a strong desire to check out their next one. So even after I started hearing their first single “Hold On Loosely” on juke boxes from North Carolina to New Jersey and even cover bands playing it, I was already in the mind to buy “Wild Eyed Southern Boys.” This album takes elements from hard rock, country and blues rock and incorporates it into the band’s own unique blend of Southern Rock. There’s the more bluesier songs like “Hittin’ and Runnin'” and the almost funky “Honky Tonk Night Time Dancer” where Jeff Carlisi shows he can bend a guitar string somewhat to the more hard rock gems like “Fantasy Girl” and “First Time Around.” They also show they can have a little fun with their songs, just listen to “Back Alley Sally” and you will see what I mean. However, one song does tower above all the others, not trying to detract from those songs, but the title track for me takes all of those mentioned elements and puts them into one song. That song epitomises what I have always loved about Southern Rock. The acoustic intro followed by Carlisi’s burning guitar solos and some great power chords alternated with some melodic harmonising. That’s the paradoxical thing I have about 38 Special. I love the way that Don Barnes and Donnie Van Zant trade off vocals here, it definitely works so well on “Wild Eyed Southern Boys.” So, my question is why don’t they do it more on their records? 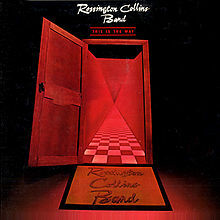 Unlike Rossington/Collins, I did not have to listen to this album thirty years later before I decided I really like it. That’s because I was rocking to “Wild Eyed Southern Boys” all through time. 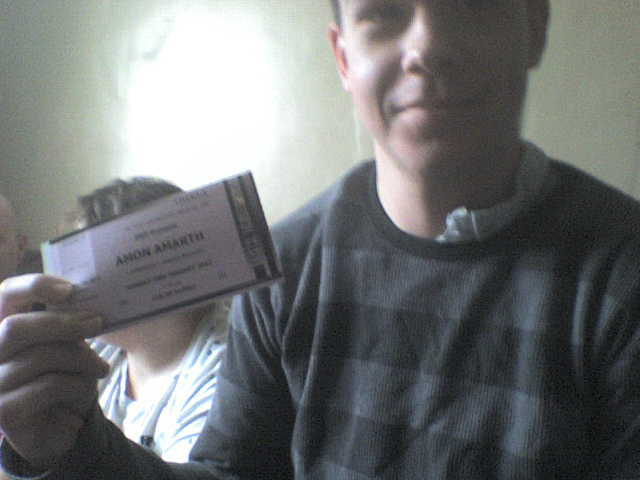 Even after my cassette got destroyed in my car’s stereo. I got rid of that car a few months after that. It didn’t stop it from being one of my favourite album’s of 1981. The album for me is a classic rocker and you know the funny thing, I still think their previous album “Rockin’ Into the Night” was better. Strange huh? I first heard about Rossington/Collins when I was on my leave after returning from overseas after reading about them in a magazine article. The fact that they were made up of many ex Lynyrd Skynyrd members strengthened my desire to listen to their first album, which I did. While I wasn’t disappointed with the album, I can’t say that I was overly impressed with it either. Since I was going to post about it, I naturally gave it another listen the other evening. God, what a huge difference thirty odd years can make! The question begs, “What did I think I was listening to all those years ago?” because this is a very good album. The opening track “Prime Time” quickly reminded me about all the things I still love about Lynyrd Skynyrd without sounding like a clone of them. Then there’s the next track, the very blues-gospel sounding “Three Times As Bad” where lead singer Dale Krantz truly comes into her own. 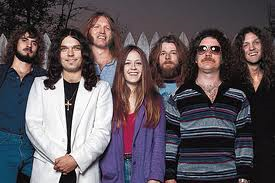 If the name sounds familiar, it is because she was one of Skynyrd’s back up singers for many years. This lady has definitely not been given the respect she deserves as a vocalist. ; not just with the one song but throughout the entire album. Also Gary Rossington and Allen Collins both show that they still know how to work a six string in the expert way we loved in their previous band and there are some magical moments from keyboardist Billy Powell. The tracks “Getaway” and “Misery Loves Company” bear true testimony of these facts and “Anytime, Anyplace, Anywhere” goes out on a very big high with the guitars on the final track, “Sometimes You Can Put It Out.” So, I ask myself again, what did I think I was listening too all those years ago? 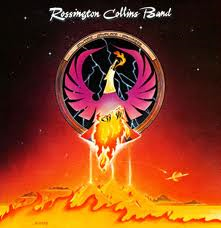 I heard back in the time, that Rossington/Collins were excellent in concert too. Apparently, they would play the legendary “Freebird” but without vocals, only a spotlight shining down on a deserted microphone: a very fitting tribute to Ronnie Van Zant. Listening with a different set of years has its benefits because I can now fully enjoy this album in its full splendour. I wonder if that would work with a Duran Duran album. No, I don’t think I’ll try it.